The deal over the Chen Guangcheng case may have been messy. But despite criticism, it was a good result. The messy resolution of the Chen Guangcheng case, with the blind lawyer and rights advocate in Chinese custody and encouraged to apply to study in the United States “through normal channels,” has won the U.S. government poor reviews from journalists and human rights activists. But the administration actually deserves high marks for its skill in dealing with the delicate politics of the party-state in a transition year. Five days later, the issue has subsided enough that high-level bilateral talks were able to proceed without the pro forma punishments – most commonly suspensions of military-to-military relations – that usually accompany disputes between China and the United States, or the years of mistrust which followed the Tiananmen Square massacre. Relations have returned to a local maximum, with both sides praising the other’s cooperation and goodwill. In retrospect, the agreement was an easy one – but only because both sides understood the other’s constraints and realized that, as Chinese leaders tend to put it, they weren’t playing a zero-sum game. For China, the fate of Chen Guangcheng is a trivial issue – an activist who has focused on winning small victories within the Chinese legal system, he earned the enmity of the party by experimenting with a kind of legal action that has become relatively common in recent years. By 2007, an Oxford PhD candidate estimates, some 25 percent of Chinese lawyers had participated in a lawsuit against a government body. Chen deserves accolades as a legal pioneer. But as yet another of the pro-democracy gadflies who regularly criticize the Communist Party overseas, he’s hardly a threat to the stability of the Chinese system. For China’s leaders, the real issue in the Chen Guangcheng crisis was foreign intervention in Chinese affairs. If the U.S. embassy had forced the issue by holding Chen, it would have suggested that the United States can pluck citizens out of China at will and overturn the Chinese state’s rulings on them. Foreign rejudgment of local cases is a particularly troublesome issue to history-conscious Party leaders. It’s reminiscent of the extraterritoriality provisions of the 19th Century unequal treaties, by which foreign governments rendered their citizens immune to judgment by Chinese courts. For the U.S., in contrast, the issue of principle was secondary. While many rights activists would prefer the American government to assert a right to rejudge Chinese cases, all Obama had to accomplish to avoid a media debacle was to save the sympathetic protagonist of the story. By putting Chen back in Chinese custody as quickly as possible, the United States was able to give China the assurance it needed that it was in control of its own affairs – a deal they were able to accept even if the price was promising America the resolution it wanted. 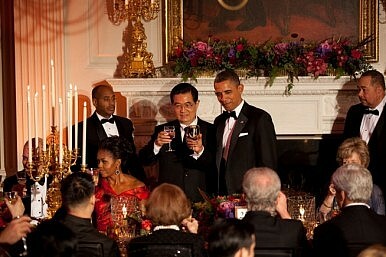 But by ceding authority to China, the United States was able to get Chen Guangcheng as a favor. The resolution has satisfied observers on neither side, with U.S. and European newspapers calling the administration's reaction weak and confused, and Chinese newspapers still struggling to figure out whether to describe the deal as a sudden liberalization or a capitulation to foreigners. The Chen Guangcheng case ended in a messy compromise, and it’s certainly not a great day for the international human rights movement. But it is a striking demonstration that the Obama and Hu administrations have built up enough trust to find good enough solutions to diplomatic crises – and to be willing to take heat from the domestic press of both nations in the interests of getting along. It’s about time. Kerry Brown on Xi Jinping and the future of Chinese politics. It's Official: China's President to Visit US From Sept. 22-25China’s “Mass Line” CampaignWhy Does the CCP Fear Taxi Rides? Chen and the Real Trust GapWhat Happened to Bo Xilai?